Twice Upon a Time is Now Available!!! 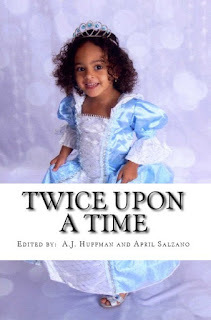 In creating the second anthology of 2015, Twice Upon a Time (244 pages), Kind of a Hurricane Press asked our authors to let their imaginations run wild with childhood memories, delve into the depths of, and if necessary, even re-create fairytales. As always, our authors pulled out all the stops, and created, what we believe is one of our finest, and most universally appealing anthologies to date. Twice Upon a Time has something for everyone. Enjoy. See our Bookstore for more information. 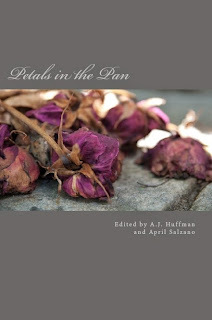 Petals in the Pan is Now Available! In creating the first anthology of 2015, Petals in the Pan (266 pages), Kind of a Hurricane Press asked our authors to let travel the lines of the blossoming and the discarded, by exploring the themes of flowers and dust. As always, our authors dug deep into the crevices and soared straight into the sun to find a way to present us with amazing work that married these two emblems of life. Petals in the Pan has something for everyone. Enjoy.